KAMPALA. 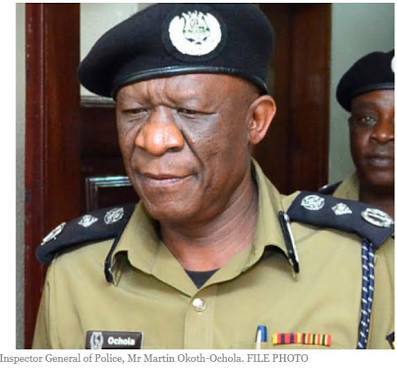 The Inspector General of Police Okoth Ochola Monday night said the country’s security is not alarming as some people would want the public to believe. While attending a security meeting at Serena Conference Centre in Kampala, Ochola said that Police are still in charge of the situation. “There are people out there who have been raising a lot of anxiety in the minds of the public thereby causing a lot of fright,” IGP Ochola said. The Police boss tasked community leaders to step up and restore hope to the people urging the public to be cautious, so as to identify strangers in the society and eliminate the thuggery together. He, however, admitted that in the past there have been cases of criminality especially kidnaps and murder but police and other agencies have taken charge by arresting a number of people. “Ever since the incident [Abiriga’ murder] took place, we have some leads, “I want to assure the public that we are on the right track, and the perpetrators will be brought to book,” Ochola said. He further attributed the rampant murders to a number of firearms infiltrating the country and in the wrong hands especially of the Allied Democratic Forces –ADF rebels, but he said police are in the process of documenting all guns in private hands for easy monitoring. The IGP last month halted acquisition of firearms until the registration process is complete. Mr Ofwono Opondo the government spokesperson asked the media to resist publicity of stories intended to instil fear in the general population. “The Media has been helping them [criminals] to circulate and threaten violence especially social media and even mainstream media. 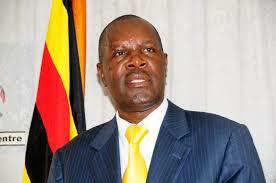 This has continuously created anxiety amongst the general population,” Mr Opondo said. He further attributed kidnaps to money-making motives since the kidnappers always ask for ransoms.